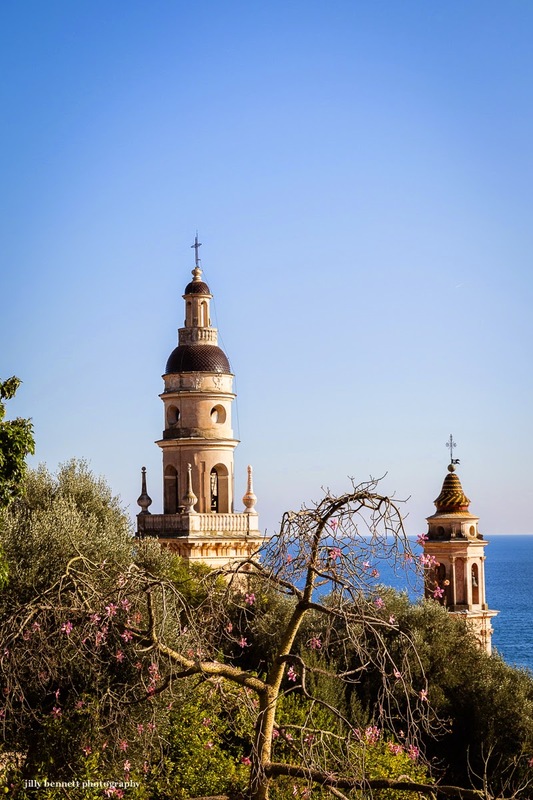 Two of Menton's magnificent steeples. Photo taken from the Cemetery of the old Chateau. Deux des magnifiques clochers de Menton. Photo prise depuis le cimetière du vieux château. Beautiful design for them both, and what a gorgeous location to be in. I remember the view. The architecture is quite Italianate, but that makes sense.